I’ve got good and bad news for you. You’ve read countless books, attended trading courses, and have traded for a while now. Still, you’re not consistently profitable. Everything is going to change from now on. Because in this post… you’ll learn how to become a successful trader, step by step. And you’d want to read every single word of it. Don’t worry if you’ve no idea what I’m talking about. Before anything else, you must understand the law of large number. For a trader, this means you need a large number of trades for your edge to play out. You will not be consistently profitable every week, taking 5 trades a month. Because according to the law of large number, results are random in the short run but will be closer to the expected value in the long run. Since the law of large number requires a certain number of trades for your edge to play out, how does it impact your trading? High-frequency trading – Trading at a very high frequency, like 10,000 trades a month. You can expect to be profitable for most of the months, or even every day like Virtu Financial. Day trader – Trading an average of 3 – 5 times a day, you can expect to be profitable in most of the quarters. Swing/position trader – Trading an average of 5 – 15 times a month, you can expect to be profitable for most of the years. The more trades you put on during a shorter period of time, the faster your edge will play out. But without an edge in the markets, the more trades you put on leads to blowing up your account even faster. Understand this and you’re ahead of 90% of traders out there. I will share with you the exact steps on how to be consistently profitable. First, find a trading style that suits you. Not only that, it has to also fit your schedule. If you have a full-time job, it does not make sense to be a day trader. Go read Market Wizards. It contains an interview with successful traders of various trading styles. This way you’ll learn what works in the market, and pick one trading style that suits you. Once you’ve decided on one, find out everything you can about it. Let’s assume you want to be a trend follower. Academic research papers – You can google academic research papers. E.g. 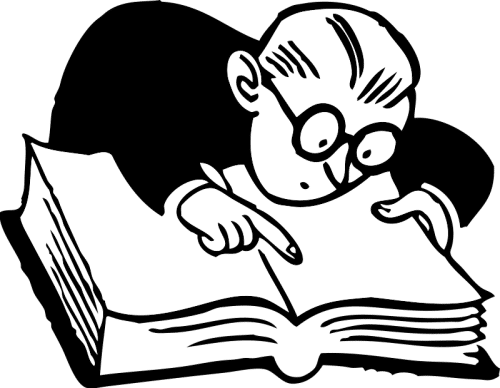 Search for ‘trend following academic research papers’. These are useful research papers you can explore. Books – Search for books relevant to your trading style. E.g. Search for ‘trend following’ on Amazon. Here’s a list of books that I would highly recommend. YouTube – Watch videos and learn the thought process of other traders. E.g. Search for ‘trend following’ on YouTube. Google – You can always find a hidden gem here. Like interviews, podcasts, and blogs related to trend following. Social Media – You can connect with traders who are successful. Follow them on Twitter and Facebook etc. Some of the traders I follow are Steve Burns, Rolf, Uktrendfollower and Jon Boorman. Use all these information you have and build a trading plan. A trading plan is a structure or a set of guidelines, that defines your trading. It removes subjectivity in your trading, minimizes the roller coaster emotions, and keeps you prepared at all times. So, how do you develop a trading plan? You must know the time frame you are executing your trades. For day traders, you would be trading lower time frames like 5 minutes. For swing/position trader, you would be trading higher time frames like 4 hours or daily. You must know which markets you will be trading. Would you trade all markets, or just trade a certain sector? You must know how much risk you are putting on each trade, and how it will change as your trading capital increase/decrease over time. What % of your account will you risk on each trade? 4. What are the conditions of your trading setup? You need to define what is the exact market condition required before you put on a trade. You need to define how exactly will you enter a trade. Whenever you enter a trade, you must know the point at which you are wrong, and get out. Which is the point on the chart that will prove you wrong? When the price goes in your favor, you must know how you will exit your trade. Would you trail your stops or set a profit target ahead of time? Would you look to take partial or full profit? Disclaimer: Below is a sample trading plan that I came up with randomly, please do your own due diligence. I like to use the IF-THEN syntax in my trading plan. It helps keep me more objective with lesser room for discretion. Once you’ve completed your trading plan, forward test it in the live markets. You can do it on demo or small live account. I would suggest trading micro lots on a live account, to take into account how psychology affects your trading. You have to execute your trades consistently according to your trading plan. This is where your discipline comes into play, only taking trading setups that meet your trading plan. Warning 1: If you entering trades based on how you feel instead of following your trading plan, then it would be impossible to tell whether your trading plan has an edge in the markets. Warning 2: Do not change your trading plan, or jump onto another trading system when you are having a series of losses. I know you are tempted to do so. Recall the law of large number? Results are random in the short run but will be closer to the expected value in the long run. This means if you change your trading plan after a few losing trades, you’d never know if you have an edge in the markets. And you will be running around in circles forever! I would recommend having a sample size of at least 100 trades, before deciding whether your trading plan has an edge in the markets. Executing your trades consistently isn’t enough. You must record down your trades to collect relevant statistical data. So you can make an objective conclusion and know whether your trading plan has an edge in the markets. R – Your initial risk of this trade. E.g If you made 2 times your initial risk, you made 2R. 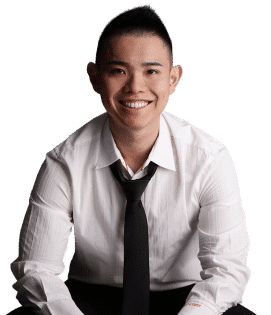 Click here to get my proprietary trading spreadsheet that allows you to record your trades (Includes a step by step video tutorial on how to use it). After you have a sample size of 100 trades, you can look to review your statistics to see whether you have an edge in the markets. If you have a positive expectancy, congratulations! You have an edge in the markets. But what if you don’t have? Increase your winning % – Be more selective with your entries. Look for other confluence factors that can be added to your trading plan. Increase your average win – Ride your winners longer. You can do this by trailing your profits as price moves in your favor. Decrease your average loss – Cut your losses. You can do this by cutting your losers quickly. If you do not have an edge in the markets, increasing your frequency of trades will not make you profitable. It will only make you lose faster than before. Likewise, reducing your risk per trade will still cause you to lose, but at a slower pace. Unfortunately, there is no one size fits all. Different traders would encounter different issues with their trading plan, and it is your duty to find out what to fix. You’ve just learned how to become a consistently profitable trader. Now it’s time to put these techniques into practice. Click on the link below and enter your email to get access to my FREE trading checklist. This includes my proprietary trading spreadsheet and a video tutorial that comes along with it. 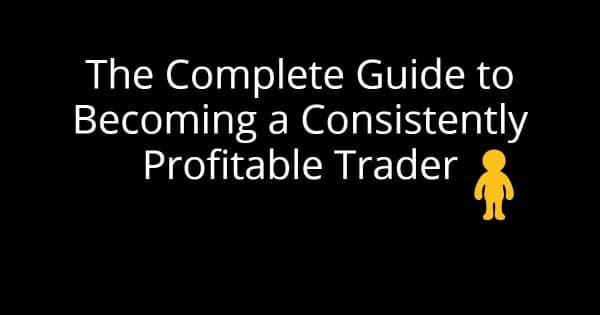 Click here to get my trading checklist that shows you how to be a consistently profitable trader (Includes my proprietary trading spreadsheet and a video tutorial). Thanks’s big rayner, this article help’s a lot, please i want to ask if there is recording for yesterday webinar because i’m not around at that time, it pain me that i miss it. Than’ks again for the article, SAVE TRADING. Good to hear it helps you. Yes I will send it out later to those who have registered for it. Under the ‘Consistency’ heading you give example of 3 types of traders based on the frequency of their trades : HFT, day trader, swing trader. Under none of them does your calculation allow for the possibility of down years, which unfortunately is a reality of trading. You make a good point. Yes I should have mentioned that consistency will result in draw downs no matter how good a trader is. What do you mean by “slippage”? Also, I think “(commission + slippage)” is actually “(Average commission + Average slippage)”. Right? Ok, after thinking for a while, I think slippage should be rollover (swap)? Slippage means that you get filled at a price that is unfavorable to you. E.g. you want to go long at $100 but got filled at $100.50 instead. I knew what slippage was; but didnt include it in my expectancy calculation. I think it is unnecessary, because slippage is already included in the P/L. I opened a position, which got filled without slippage, then I closed it with $100 profit. Or I opened a position, which was filled with -50 pips slippage (during news trading), then I closed it with $100 profit. In both cases, I only need a single data ($100) to compute my expectancy. Why should (and how could) you include the slippage to calculate the expectancy? I believe it is necessary to include rollover to calculate expectancy (in fact, I do it in my own formula). 1) Slippage can also be factored in when you exited your trades at a unfavorable price. E.g. You stop loss is at $100 and got filled at $99.50, that is a slippage of $0.50. This would matter in terms of R, as you’d lose more than 1R due to unforeseen slippages. So if after a number of trades, you’d realize you’re losing more than 1R on your trades due to bad slippages, it’s a sign something can be improved on. I’d still use the same formula for it. But it would be the average slippage. 2) Roll over can be used as well. Yes in fact average commission + average slippage would be more accurate. This is the first time I find someone includes slippage in expectancy calculation! I don’t care about slippage, since I got very few slippages in currency trading. Maybe you get more slippage when trading commodity, so it is important to you? This formula is simpler and requires fewer steps of calculation (don’t need to calculate % and average first), and yields exactly the same result as other formulas using % and average. Yes you formula would make sense if you’re solely trading the forex markets. But for stocks and futures, the expectancy formula would need a little tweak due to the way transactions cost are incurred. Please update your links to your proprietary trading spreadsheet and the trading checklists. I cannot go there and always back to this blog instead. I’m trying to fix it right now. I’ll email you when it’s done, thanks! Thank you for your generous contribution to my education!!! Please update your links to your proprietary trading spreadsheet and the trading checklists. I cannot go there and I always go back to this blog instead. Apologies for the inconvenience. The link should be working fine now. If you still can’t get it to work, do drop me an email at the contact page and I’ll send you a copy personally. waw…thats look like complete explanation. Thanks . I will follow and close look on your site and guidance. I’m glad its clicking for you. Rayner sir, thanks a lot for giving such information. I am from india and trading in indian equities since last about seven years. till date, I have no plan what to do and I am entering into trade with a trading plan. now will prepare a trading plan accordingly and take steps thereon accordingly. I wish to god that you wil continue with such information/videos for ever. A trading plan is a big stepping stone, where losing traders start becoming profitable. Your article confirms what I’ve been reading on investopedia.com – how it’s imperative you have a trading plan before you begin trading. And I also now understand the main elements that go into one from swingtradesystems.com (which you list above as well: conditions of trading setup, risk management, etc…) These sites, yours included don’t go into too much detail, just give an overview. Or, at least I’m looking for more detail! Do you have or know of a trading plan template of sorts that would get into more specifics? I’m especially interested in how you would weed through the 7000 or so stocks in the US exchanges, and what exactly I should be looking for. And how to exit your trades. I hear that’s the most difficult part of trading. I’ve submitted my email address. Just please don’t give it out, as I get way too much email as it is! The trading plan template I used is what I shared with you in the post earlier. I don’t trade stocks but mainly the futures product. So I look at about 60 markets. If you want to learn how to exit your trades, you can check out this post here. I respect your privacy and your email is kept confidential. You can unsubscribe anytime. Hi Rayner thks fr the beautiful guidance. Can u pls advise what wuld be an ideal max drawdown size in % terms viz a viz one’s trading capital considering the fact that one is either day trading or swing or positional trading, to define a good trading system. Drawdown is a function of how much you’re risking on each trade, and not the trading method itself. If you risk more per trade, then the drawdown will be steeper. What can I say? You are the BESTEST!!!!! Can’t wait to progress and share the good news with you! One of the best article I have read so far on trading! !